A UK high court judge has made a landmark ruling meaning that the families and doctors of patients suffering from severely debilitating illnesses will no longer have to seek legal permission to withdraw their life support treatment. The landmark decision, made by Mr Justice Peter Jackson in the court of protection, is significant as it means that families and medical professionals of right-to-die cases in England and Wales will no longer have to go through court cases to end a patient’s care, provided they are in agreement. Compassion in Dying, an organisation who helps to ensure peoples’ wishes are respected at the end of their lives, welcomed the ruling and told Euronews it would help ensure “every person gets the death that was right for them”. The case, which was seen in the court of protection, concerned a 50-year-old woman, referred to as “M” as her name was kept anonymous, who suffered from Huntington’s disease for over 25 years. M was believed to be in a minimally conscious state at a hospital in the Midlands, UK, when her family issued a request to the courts to withdraw her life-support treatment in June this year, her feeding tubes were taken out in July and she passed away on August 4. What was the judge’s ruling? “On the facts of this case, I do not consider it to have been a legal requirement for the decision to withdraw CANH (clinically assisted nutrition and hydration) to have been taken by the court,” deemed the judge in his notes, published on September 20. The judge, however, did say that he understood why M’s family and doctors had asked for a ruling. Why was this a landmark decision? In M’s case, there were no dissenting voices. Her Doctors, daughter, mother and stepfather and even the hospital, were all in agreement, but “because of the way the law has been crafted”, the case still went to court. The judge’s ruling meant that in the future families in a similar situation could avoid a stressful and costly court case. Why has it taken so long for this decision to be made? According to Davies, doctors in such cases generally err on the side of caution and will only give their agreement to stop CANH when all treatment options have been exhausted. Without the backing of their loved one’s doctors, families are often dissuaded from going to court by legal professionals, as cases can be long, costly – often up to £30,000 according to Jackson in his notes – and stressful. Is this a binding decision in UK law? Decisions made by the High Court in London set a binding precedent which must be observed by all lower courts in England and Wales. However, in this case, Davies it is not clear “if the judgement will be accepted in its entirety or if it will be appealed to get clarity from a more senior court”. 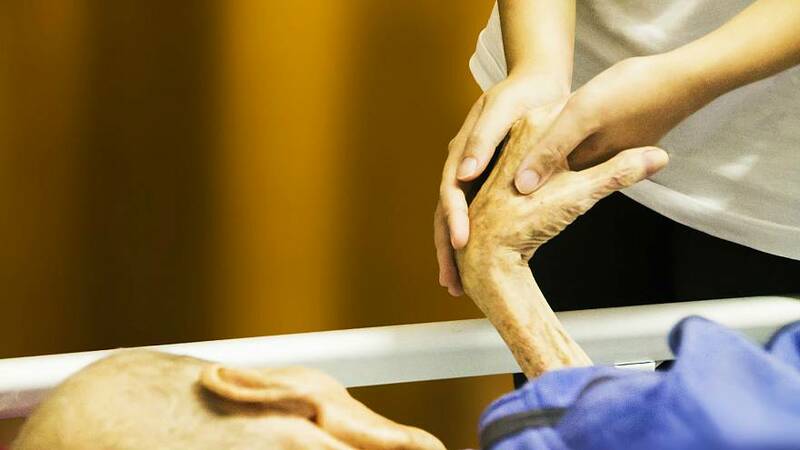 Compassion in Dying It should always be the patient that directs their care throughout their lives and therefore recommends that everyone completes a living will, which they say is possible in most EU countries. They hope the judgement on the M case is the first step towards a “person-centred” end of life care agenda.